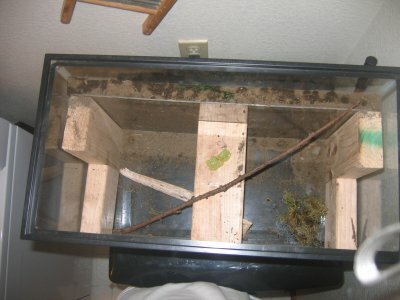 I finally upgraded my ant farm. 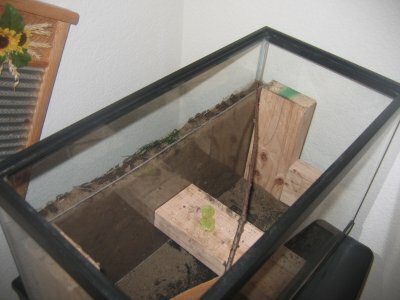 I've been meaning to do this for a while, but it required that I did something about the lizard that occupied the terrarium that originally housed my ants. 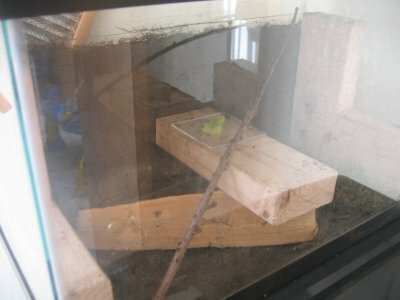 I put the lizard up on craigslist, but since I got no bites, I just set the lizard free in my backyard. Hopefully he'll enjoy the freedom more than he enjoyed the easy-pickings meals he got all the time. There's another one that's far more active, but my camera can't focus inside the tank too well. I'll have to get my other camera and see if I can zoom in on it later on. What kind of dirt do you use? 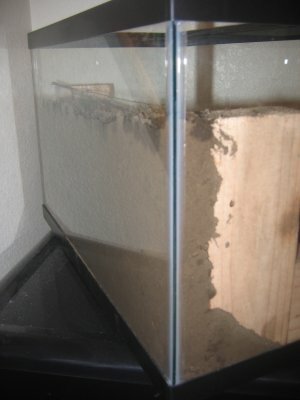 I tried to use compost in my ant farm and it just grew mould. Also, how moist did you keep it?